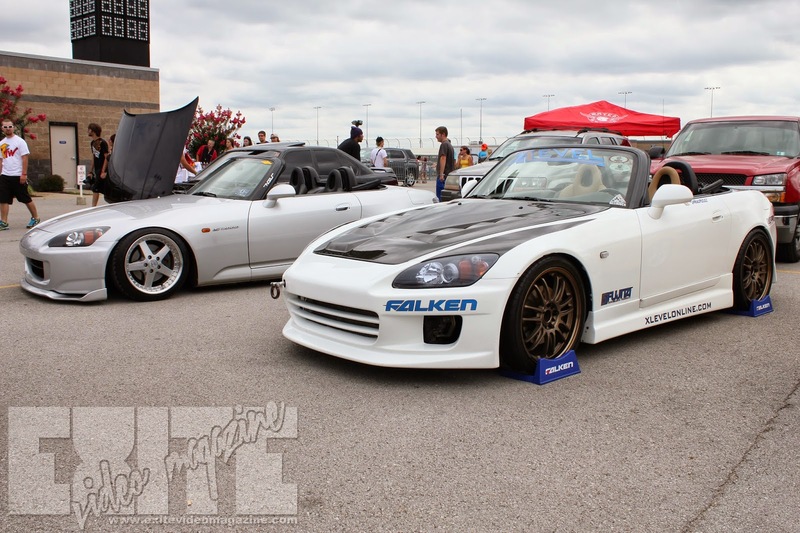 Today's Throw Back Thursday is actually two cars, although they are both S2000's. The first one is inspired by the stance movement, obviously. I am struggling to find words to describe this car. It's not plain, but it's not highly modified. It's not stock, but it's not.... ugh. I hate to throw the word clean out there, because it's just used to much, but that is the first word that came to mind, so let's roll with it. CLEAN... there, I said it...again. It is sitting on what I think are Work Equips. This was back before I started taking detail pics of sizes and what not, and from that distance, several of your basic 5-spoke rims look eerily similar. The rear fender has a slight pull so we know there is some meat hiding under there. ...exactly what the car next to it did, although I'm not afraid to say that I really like it. It's rocking what is either a GP Sports kit, or a replica of said kit. 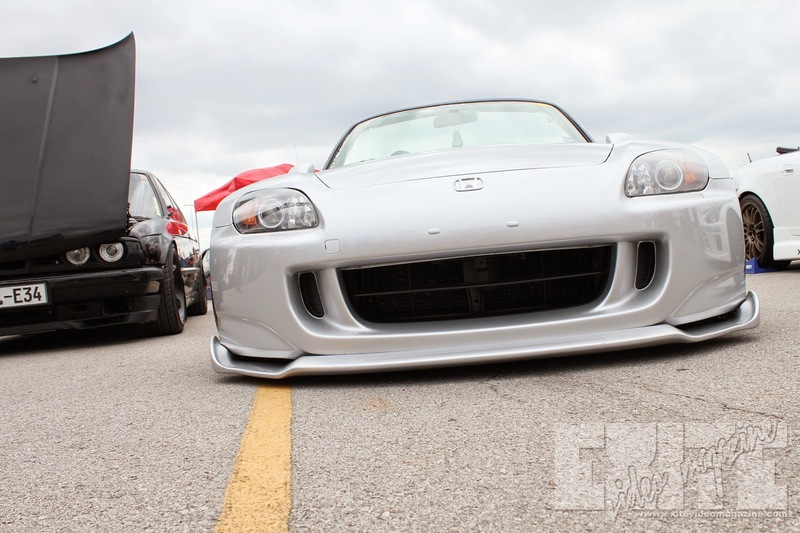 The hood looks like a carbon version of the Mugen hood, although I'm having a tough time seeing if that's the Mugen bump in front of the passenger side vents, or just a reflection. The second car is more my style, as I am self admittedly a performance look type off guy, and I spent my formative car styling year watching Hot Version, Option, and BMI. So that's always the style I aspired to. What do you guys think? 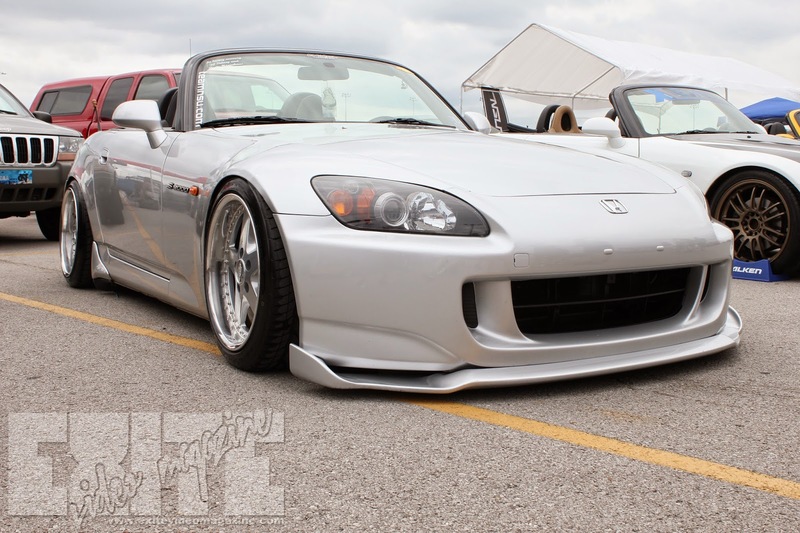 I have a couple more S2000s on the way from this show. By the way, the next months' of TBT articles are going to be from this show, since I just raided an old drive and came across this group of pictures. It was only a few years back, but I can already see huge progressions in the scene from now.